5.0 out of 5 starsPuts the struggles of the disabled into perspective. A real thought provoker, this book really challenged the way I viewed the disabled community in a way that many other books and television pieces have failed to. 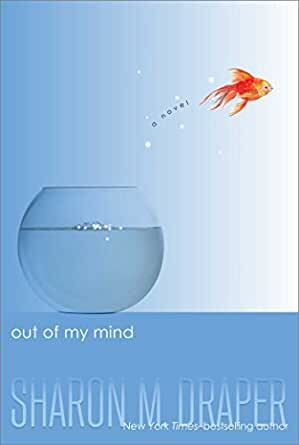 Take a look at Melody's everyday struggles as she navigates her days with no way to communicate with others, not even her mother and father, or as she tries to fit in and make friends like a normal 5th grader. I appreciate that this isn't just a book about a kid in a wheelchair, its a story about that kid's journey and how she has to make the world stop and listen to what she has to say. I'd recommend this read to anybody of any age or background. Easy enough for younger readers and interesting enough for the older ones as well. This book gives you a great inside to how ppl treat ppl with disabilities but first glance. Often miss judging them. Helps ppl realise that they are just like us and should not be treated as outcasts but made to feel welcome. Omg this is the best book I have ever read. I am still crying now. I really now know what it is like to have a condition like that and I feel so lucky that I don’t have something like cerebral palsy. I luv this book more than I luv chocolate 🍫. This was a an exciting book and teary book some of it sad and some was incredible. I highly recommend this book it is fantastic. All teenagers should read it! Beautifully written & very well researched, highly recommended to all. Would be a great school reading requirement. out of my mind is filled with moments of love, betrayal, and imaginatiokn-provoking scenes that drfove me out of my mind. this book follows the life of an 11 ygear old girl, Melody Brooks. melody isnt an ordinary child. at a young age, she was diagnosed as being "severely brain damaged and profoundly retarded" according to an inexperienced docter she visuted as a child. throughout her elementary school days, melody goes through many ordeals such as bullying, betrayal, and frhstration at her inability to speak. ultimatelyl, melody recieves a gift that changes her life forever. i loved this book it was also kinda sad (i started crying) it made me realize that we shouldent judge those people because they dont look like us or they may not be able to do things that we can do but they have feelings and we dont think about that thats why i am saying "stop judging by appearances" also buy this book it may inspire you to!!! it shows briefly what some people are and that they deserve to have a voice and even if they are disabled treat them like they're the same as everyone else because they are still human.